Gains in productivity and efficiency are possible when a coating or surface treatment provides functionalities beyond the usual protective and aesthetic properties. This realization has sparked great interest in functional coatings in recent years for applications that traditionally have not used paints or coatings. 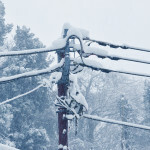 A good example is the use of anti-ice coatings on power transmission lines. 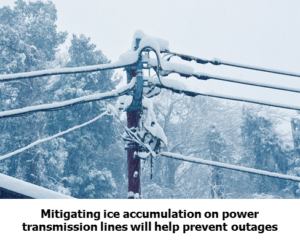 Mitigating ice accumulation will help prevent power outages, which has a tangible and beneficial economic impact. 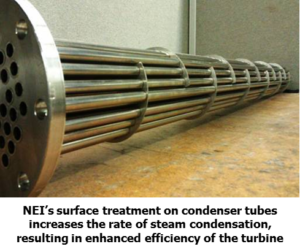 Another example is the use of a surface treatment to increase the efficiency of power generation turbines. While great strides have been made in academic circles to understand the different surface phenomena of these so called ‘smart coatings’, commercial products to date have met with limited success because they are not engineered to meet all of the functional performance requirements that an application may need. 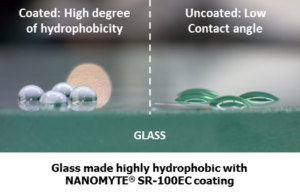 For example, commercially available superhydrophobic coatings repel water droplets, but do not prevent the diffusion of water vapor – minimizing moisture ingress is a critical functionality for most protective coatings. More often than not, many of the functionalities mentioned above need to be integrated into a single coating or surface treatment. For example, a transparent coating that resists finger printing also needs to be scratch resistant and durable. 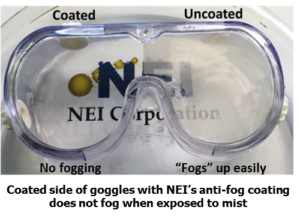 A coating that prevents fogging in eyewear and other transparent surfaces must also be durable and resistant to chemicals. Further, in order to meet the cost criteria, application of the coating must be compatible with conventional coating methods such as spray, dip, brush or flow. Over the past few years, NEI Corporation’s concerted efforts to develop and implement practical, multi-functional coatings are now coming to fruition. Backed by a bevy of issued and pending patents, NEI has introduced an array of coating products under the registered trade name NANOMYTE®. For example, NANOMYTE® MEND is based on US Patent 8,987,352, where a thermally induced, physical self-healing phenomenon leads to gap closing and crack sealing. The self-healing coating involves a unique phase-separated morphology that facilitates the delivery of the self-healing agent to the damage site (such as a scratch or crack) thereby restoring the coating appearance & function. 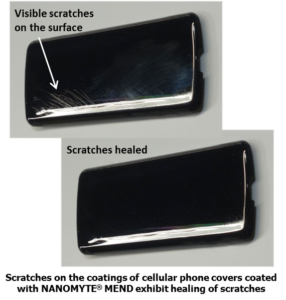 Utilizing commonly available polymer materials and nanoparticles arranged in a unique morphology to achieve self-healing, MEND offers a practical self-healing solution to common polymer coating systems. In response to the need for waterborne, self-healing coatings for non-metallic substrates, NEI developed a waterborne, polyurethane-based, self-healing coating. NANOMYTE® MEND for wood (US Patent 8,664,298) specifically targets the wood cabinet market. A more recent patent-pending version of MEND, referred to as MEND-RT, allows self-healing at near ambient temperature. It is used as the inter-layer of a coating stack and has been shown to enhance the corrosion resistance of traditional coating systems. The MEND coating platform is based on polyurethane, but the principle can be applied to other coating systems as well. Self-healing principles can also be applied to surface treatments of metals, whereby the pretreatments can mimic the performance of chromate conversion coatings. To this end, NEI has developed a series of pretreatments for different metals where a chemical self-healing mechanism imparts corrosion resistance. 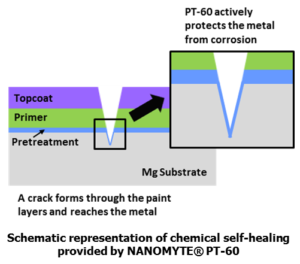 For example, NANOMYTE® PT-60 is a patent-pending conversion coating for use on magnesium alloys. The nanoscale structure of the surface allows ions to diffuse to the damage site, forming a barrier that prevents further corrosion. In addition, PT-60 has been engineered to act as a tie layer that bonds the overlying primer with the metal, thereby leading to excellent performance in the field. Similarly, NEI’s NANOMYTE® PT-10M provides self-healing protection for aluminum, while patent-pending PT-20 is designed for use on steel, and PT-30 (US Patent 8,741,074) is used on copper alloys. As previously mentioned, combining multiple functionalities in a coating, such as self-healing and superhydrophobicity, presents new opportunities not available until now. For example, NEI has been issued a patent (US Patent 8,968,459) for a superhydrophobic coating composition that also has a self-healing function similar to that of plant leaves. This self-healing, superhydrophobic coating mimics lotus leaves, which maintain their superhydrophobicity by repairing the damaged surface layer with a continuously-secreting hydrophobic epicuticular wax. Equipped with the ability to repair or renew itself, the novel NEI coating overcomes the durability problem of traditional superhydrophobic coatings. Durable hydrophobic coatings are highly desirable for numerous applications as they usually impart easy-to-clean and stain-resisting properties to surfaces. For aesthetic reasons, there is also a need for a thin, transparent, easy-to-clean coating that does not add excess weight and does not change the appearance of the substrate to be coated. 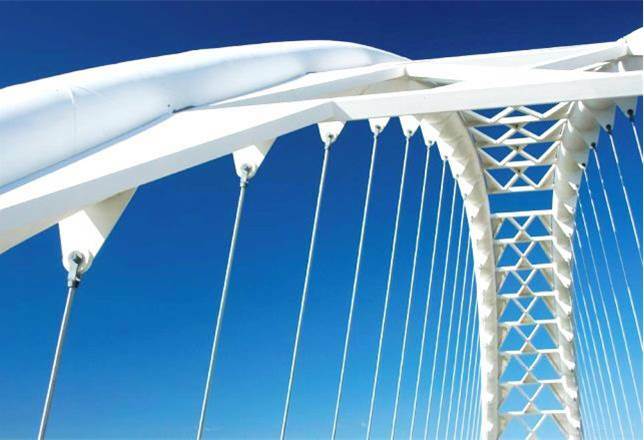 Further desirable properties of such coatings include a high degree of scratch/abrasion resistance, excellent adhesion, and chemical resistance, all of which are critical in maintaining a durable coating. In addressing these needs, NEI’s recently developed NANOMYTE® SuperCN and SR-100EC products are patent-pending transparent coatings with a unique combination of properties, including easy-to-clean and stain-resisting properties, excellent abrasion/scratch resistance, as well as good adhesion with a variety of substrates – including polymers, metals, and ceramics. Scratch resistance is a sought-after property for coatings in a variety of applications, such as ophthalmic and sports-wear lenses, automobile and airplane windows. Plastic substrates, such as polycarbonate and acrylic, can scratch easily and lose transparency quickly during daily use and maintenance. Hard and optically transparent coatings for plastic substrates possess a significant market potential. 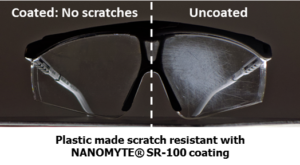 NEI offers a patented (US Patent 9,006,370) transparent, scratch-resistant coating called NANOMYTE® SR-100, which exhibits significantly better abrasion resistance than commercially available, scratch-resistant coating products. A matte version of SR-100 has also been developed and is now commercially available. Adhesion enhancement is usually achieved by using adhesion promoters and surface treatment techniques. A recently allowed NEI patent application on adhesion promoter describes a surface pretreatment composition that is chromate‐free. The environmentally-friendly, waterborne pretreatment promotes adhesion between the metal substrate and overlying paint layer by acting as a “double‐sided bonding agent,” while at the same time improving corrosion resistance. The novel composition comprises organo-functional silanes but functions differently from traditional silane treatment. The composition results in a thin film coating having a graded structure, i.e., an inorganic oxide layer that bonds strongly with steel and a loosely crosslinked top layer containing functional groups that can further crosslink with paint overlay. The new technology has value to applicators who paint metal structures, such as bridges, ships, and other steel structures. It is also applicable to industrial painting operations such as coil and spray coatings. The patented chromate‐free pretreatment for steel, offered commercially as NANOMYTE® PT-20, represents a significant advancement in the state‐of‐the‐art for corrosion resistant technologies. NEI is an application driven company that manufactures and sells Advanced Materials products, provides materials development services, and performs contract-based R&D for public and private entities. NEI’s products, which are sold under the registered trademark NANOMYTE®, are backed by a suite of issued and pending patents. NEI has built a strong manufacturing and R&D infrastructure that enables rapid transition of concepts to products. The company has a 10,000 square foot, state-of-the-art materials manufacturing and testing facility in Somerset, New Jersey, which includes high temperature furnaces with controlled atmospheres, mixing, blending and drying equipment, coaters, particle characterization instruments, corrosion testing equipment, polymer films & coatings characterization, and a Li-ion battery testing laboratory. 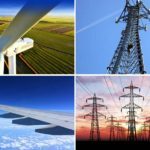 Since its inception, NEI has partnered with small companies, large multinational corporations, U.S. Defense Laboratories, U.S. National Laboratories, and Universities. The relationships take on different forms, ranging from a strategic partnership to joint development efforts targeted at specific applications.